What I Ate Saturday: Descriptions of all the delicious food I ate this weekend. – The Small Things. What I Ate Saturday: Descriptions of all the delicious food I ate this weekend. This past weekend was spent in a food lovers paradise. I got to do all of the eating and none of the cooking! This resulted in a rather significant dent in my bank account as I had to pay for all of my delicious meals but sometimes a little indulgence is entirely necessary. Unfortunately I was so busy eating that I forgot to take a single picture of my food. Alas, you will have to rely on my words alone to get your foodie senses tingling. 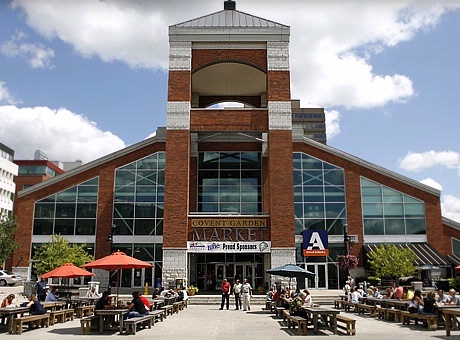 If you ever find yourself in London, Ontario check out these wonderful eats. Enjoy! What: Eggs, sunny side up with grain toast, home fries and an iced coffee. The market is a city block filled with individual vendors, selling everything from fresh baked goods and locally grown produce to homemade jewelry and one of a kind art. On a Saturday morning it is bustling with people, young and old, bartering over the cost of berries, finding treasures among a sea of trinkets, sitting down to a classic breakfast made from scratch. Lucas and I wandered around, admiring the individuality of each vendor’s stand before deciding on one for our breakfast meal. The egg yolk was perfectly runny, the bacon was crispy and the toast was dripping with butter. Just the way I like it! I always save my home fries for the end. What better way to finish a meal than with salty, bite-sized, deep fried potatoes. 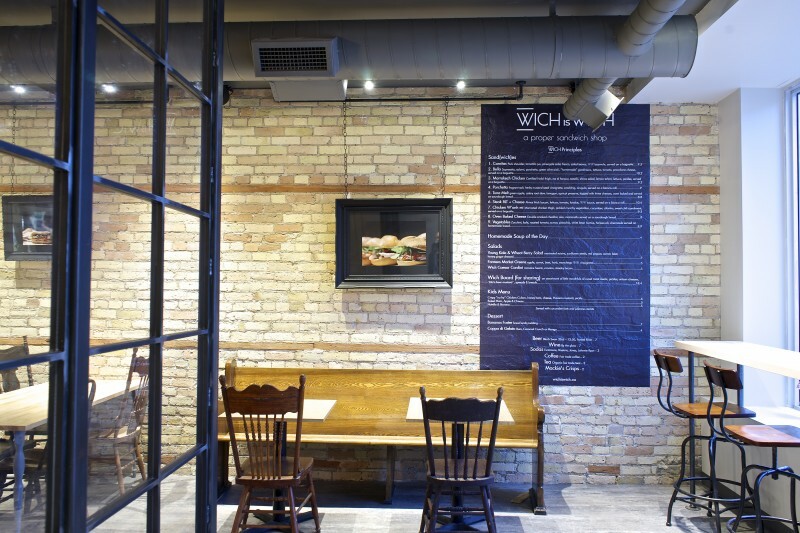 Wich is Wich is a quaint and unassuming sandwich restaurant. Wooden tables and an assortment of chairs give the place a homey feel. We sat down for lunch late in the afternoon and had the place virtually to ourselves. The kitchen area is located right in the middle of the restaurant, easily view-able from the seating area. Lucas’ attention was absorbed fully by the chef, expertly preparing out meals. The pork for his sandwich was cut directly off a large hunk of meat that was clearly freshly cooked, then topped with arugula and a mustard seed vinaigrette. Lucas called it amazing. I had the tuna melt. It oozed with three different types of gooey cheeses and throughout there was a sweet and sour flavour from slices of green apple. Who knew something so simple could make a sandwich taste so complex and delicious! 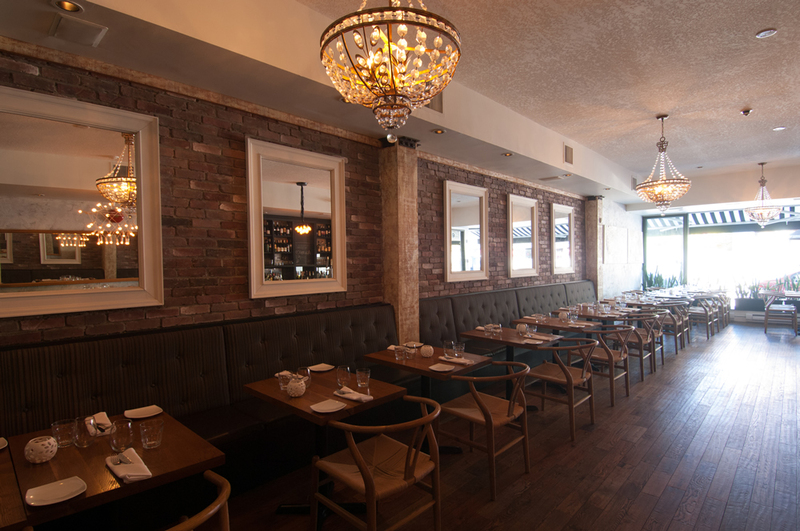 Abruzzi is one of those small, independently owned restaurants that is modern and sleek. A different style of light hangs over every table and a large map of Italy hangs on the back wall. Our reservation was for 8:30 pm and the place was packed when we got there. Despite the crowed we were quickly seated. With a recommendation from the server we ordered an excellent bottle of smooth, full bodied red wine called Hepa from Tuscany. Knowing that it wasn’t going to be a cheap meal we decided to go all out. Starting with an Antipasti plate that consisted of 4 cheeses, 4 meats, almonds and olives. My favourite was a blue cheese cambozola, it literally melted in your mouth. For the main, I had the halibut over a pesto gnocchi with heirloom tomatoes and green beans. The fish was flaky and the flavours came together wonderfully. It had flavour without being over powering. Lucas had the duck breast over kale and veggie with four sweet potato ravioli. I only had a bite but the flavour was so rich in all the right ways. We finished our meals with desert. I had a warm creme brulee served with fresh berries, the pudding was so sweet and creamy with a hint of vanilla. Lucas had the tiramisu, which was topped in white chocolate shavings and served with ice cream. The whole meal was exquisite! From the atmosphere to the flavours, everything was divine. It really was a lovely weekend 🙂 The dinner on Saturday was our monthly date night. Usually it is a dinner at an obscure or small restaurant. Although this place may have become our go to date night spot from now on! Agreed! I strongly believe in living life for amazing moments. Sometimes that means spending a lot of money but it is all worth it as long as the experience was enjoyable! And this food… mmmmmmm… it was definitely enjoyable!